With summer approaching, now is the perfect time to focus on new business opportunities. It’s important to incorporate the time of year into your content marketing in order to better connect with your customers! With the winter coming to a close, your customers are ready for the next few months of warm weather. Use this to your advantage when thinking of what to provide them and how to stand out from your competitors. Whether it is slow or busy for your business in the summer, here are some tips you can take advantage of these next few months. Summer is all about longer days, going for a walk outside, cookouts, hanging by the pool, and so many more fun activities. Consider hosting an activity for your customers yourself.? Inviting your customers to partake in local events will draw a crowd and invite the opportunity to meet new potential customers. You’ll make more friends within the local community and get your name out there. You can also offer incentives or special offers for those who attend so they continue doing business with you throughout the year! We’ve spoken about community involvement before, and summer gives you the chance to show that you’re an expert within the community. Don’t be afraid to really take advantage of this sunny season and use it as a guide for your content. Incorporating summer themes into your newsletters, social media posts, and emails is one way to stay relevant with your customers. 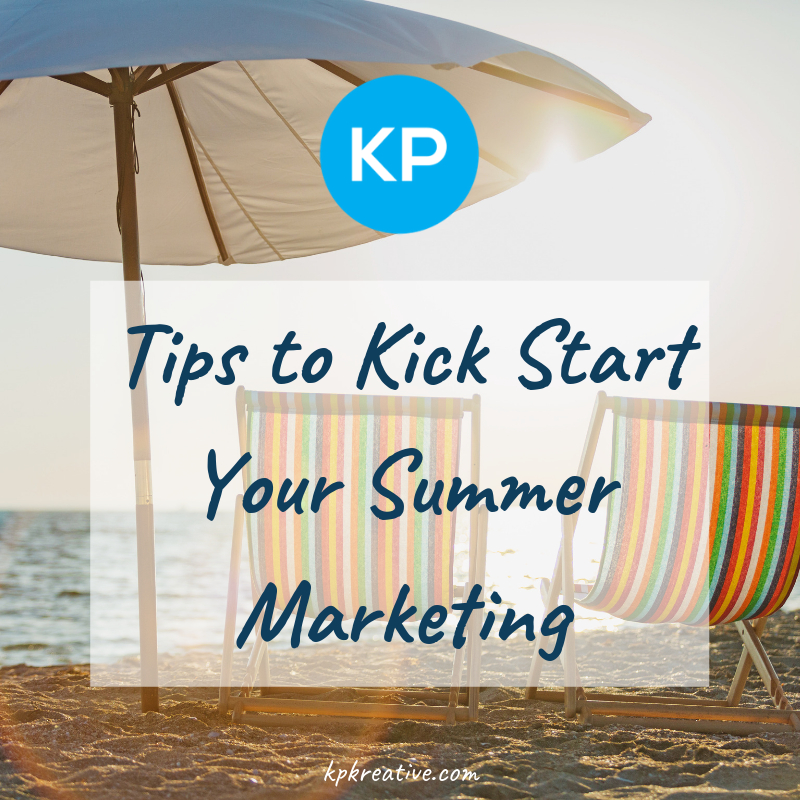 Offering specific summer tips and tricks for your customers to utilize. Create special summer items to print your logo on such as beach balls, towels, etc. and focus some content around a summer-themed giveaway! Summer is also a great time to plan for your busy season! If summer is usually a slow time for your business, take advantage of the break and gear up for what’s to come. Test out different marketing methods with your audience to see what’s working and what’s not. Use this time to get to know your audience better. This is a great time to take advantage of the Poll options on Facebook, Twitter, and Instagram. It’s an easy, quick vote your viewers can cast allowing you to gain knowledge and feedback in a short amount of time! How do you normally market during the summer? Let us know in the comments.